Manipur literally means a jeweled land. Manipur is situated in the northeastern part of India. This town is nestled deep within a lush green corner of the north east India and surrounded by blue hills with an oval shaped valley at the centre. Manipur is bordered in the north by Nagaland, in the east by Myanmar (Burma), in the south by Mizoram, and in the west by Assam. It seems much like an exquisite work of art executed by superb hands of nature and is indeed a state of exquisite natural beauty and splendors. Manipur is rich in art, culture and tradition and surcharged with nature's pristine glory. Mrs. Lord Irwin, British Viceroy and Governor General of India, described Manipur as the “Switzerland of India”. St. Clair Grimwood also described it as "a pretty place more beautiful than many show places of the world" and Late Pandit Jawaharlal Nehru described it as "Jewel of India". The capital of Manipur is Imphal. 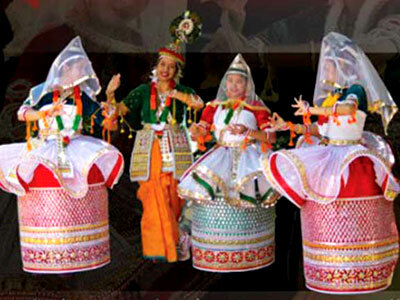 The Raasleelas and the classical dance of Manipur hold a very significant position in the cultural map of India. The climate of Manipur varies from the tropical to sub-alpine types. The summer months here are moderately hot and the winters are comfortable. Manipuri, English, Hindi are the main languages which are spoken in Manipur.